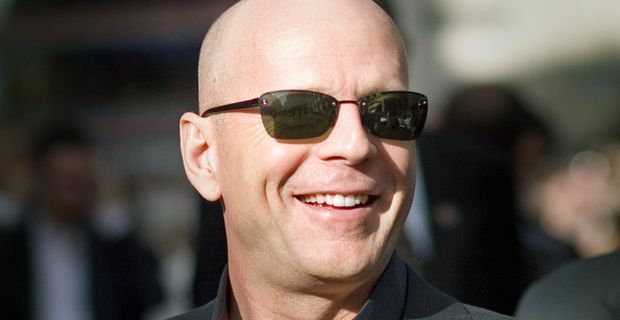 Bruce Willis has revealed what it is that keeps bringing him back to the role of restless cop John McClane in the Die Hard franchise. Surprisingly it’s not the director handing him an eight figure cheque with the words "same deal as the last one, Bruce luv". With the fifth instalment of McClane’s frankly baffling inability to avoid trouble, Die Harder, Much Harder Than The Last Time Which Was Not That Hard, due for release in 2013, Willis insisted it is his actorly perfectionism that keeps him coming back. "I'm still trying to do as good a film as the first one," he told the BBC. "I like playing that character. There will come a time where I won’t be able to do it anymore, but it's still fun to do. I still get a kick out of it, I have a fun job." He’d also like us to know that the correct title is A Good Day To Die Hard. Dying as hard as he can manage at his time of life might pay the bills, but his recent role in Wes Anderson’s dark comedy Moonrise Kingdom looks likely to be far more interesting to fans of proper cinema. "I'm a fan of his films," Willis said, forgiving their relative lack of tough guys in singlets blowing up helicopters. "I’ve seen them all. It’s a great cast, he always gets together a great cast. On the face of it, it's a really simple story of two kids who fall in love and run away. But it really is more complex than that. It pulls you into the story."